The triathlon season is right around the corner. 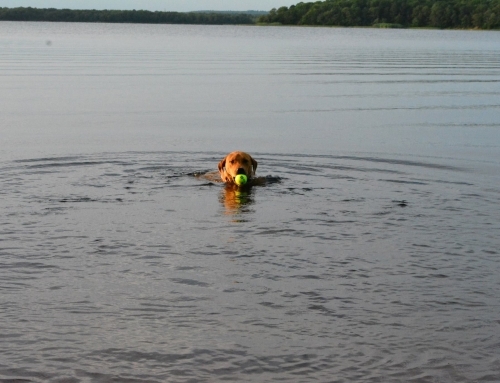 It is time to think about getting back into the open water. For me, cold water swimming is not the something I truly look forward to, but it has to be done. 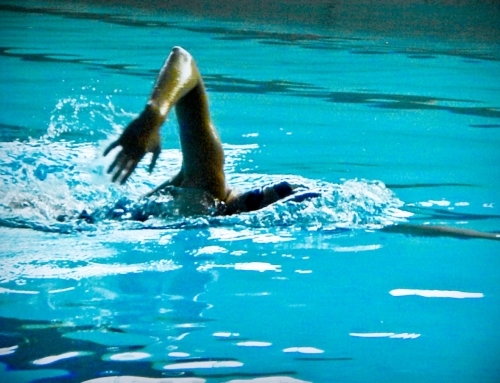 Here are some interesting facts about cold water swimming. Body heat loss in cold water is two to four times greater than the heat loss in cold air at the same temperature. When you exercise in cold water, the heat loss from your skin can be 70 times greater than the air of equal temperature. Yes, don’t fall off your chair you saw it correctly — 70. The reason the heat loss is so huge during cold-water exercise is that your body loses heat due to both conduction and convection. Conductive losses are defined as direct losses from one molecule to another through a liquid, solid or gas. Convective losses are dependent on how fast water (or air) moves past the body. 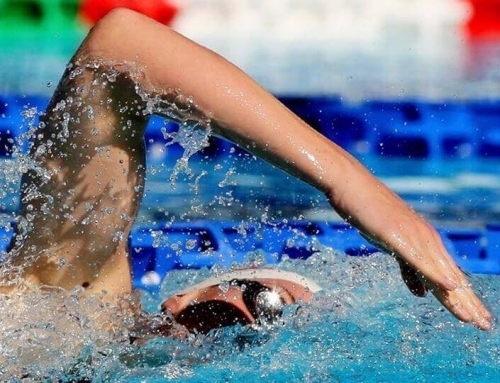 With the extreme body heat losses in cold water, compared to air, it is easy to understand why triathletes and swimmers are so sensitive to small changes in pool temperatures. 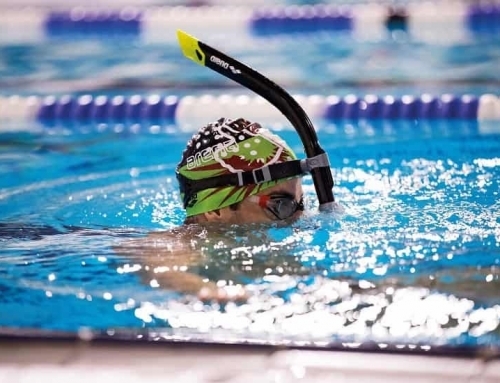 Experienced swimmers can detect day-to-day changes in pool temperatures as small as a single degree. The body has several unfortunate responses to cold, including shivering, constricting blood vessels, increasing metabolism to use more fuel, increasing urine volume, increasing lactate production and decreasing VO2max. All of the body’s cold responses are undesirable for triathletes, as they lead to poor performance. The question to be asked then is this; can the body acclimatize to cold, in a similar fashion to the way it acclimatizes to heat? And can we adapt to cold and decrease the negative effects? The answer is yes, but the process isn’t as attractive as heat acclimatization process. 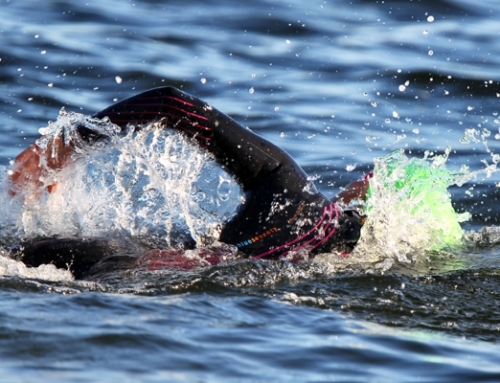 Here are some ways you can work on becoming more comfortable in the cold water. If you have access to an open water situation with temperatures similar to those predicted for your event, swim in the cold water for 20 to 30 minutes, three to four times a week in the 14 to 21 days prior to the event. If it will be a wetsuit swim, wear a wetsuit in practice. Even if you are an experienced swimmer, never swim alone, in case you run into trouble. For those that do not have access to a cold body of open water, you may gain some advantage by taking cold baths or showers. YUCK! Fill your tub with cold water and get in. When your body feels comfortable in the water, add ice to reduce the temperature. In the shower decrease the temperature once you feel comfortable. Many athletes use the ice bath technique for recovery from hard workouts. The people that have used cold water acclimatization techniques seem to have increased tolerance for cold water. Simply put, although not pleasant it can only make the shock of the cold water more tolerable. Each time gets a bit easier. If you decide to try either of these techniques, of course, use caution. Watch for signs of cold injury (skin burn). One thing you can do is monitor your body temperature. If it drops from a normal of 98.6 to below 96 degrees Fahrenheit, remove yourself from the cold. If you are extremely uncomfortable or notice that your skin is turning blue or white, get out of the water. Begin conservatively and build cold tolerance from there.